CSWIP Preparatory Classes in Kerala with 90 % Pass Rate. 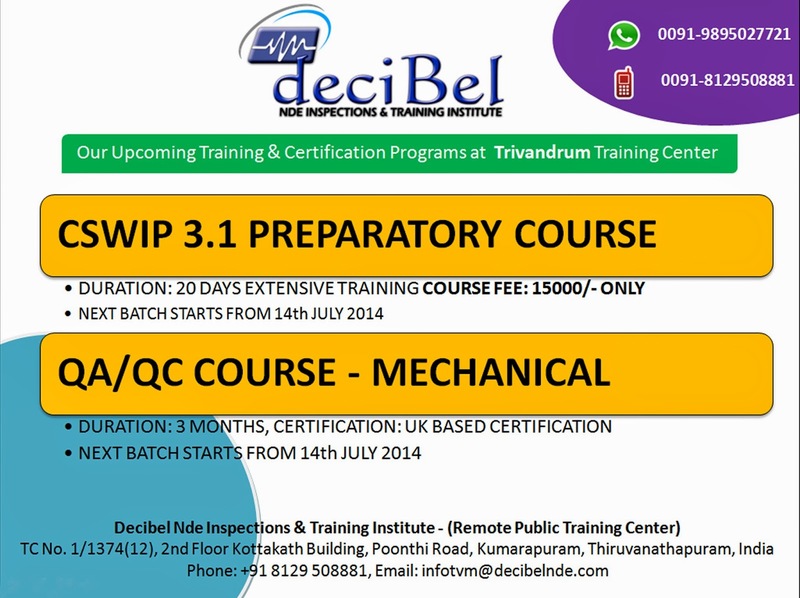 Decibel Conducts CSWIP 3.1 Preparatory Courses in Kerala at Trivandrum and Pattambi Training Centers. Overall a 90% Pass rate yearly has been achieved regularly and Intensive Practicals for Understanding the concepts, familiarizing with the technology and crafting a welding inspector from RAW has been done always, by our expert faculty members. You may See the Qualified Faculties at our End for Understanding more on our Team. After Successful Completion of the Training & Examination you will be getting Free Placement Support for Enrich your career towards the next stage of your qualification. If you Fail in CSWIP 3.1 Exam we will provide Free of Cost Additional Training for you Till you Get Passed. Most successful batch results in Kerala. Yearly an overall pass rate of 90% in Kerala for Decibel trained students and good placement supports for career progression. 100% pass result for CQC candidates whom had attended the CSWIP 3.1 classes. It's not just exam training it's experiencing to become a welding inspector at Decibel. Feel the difference in Training Quality from a true global trainers. Faculty members are experienced in Examjnation panel of TWI. Decibel's upcoming NDT Level 3 course in kerala will be taking place during the month of August 2014. Interested candidates register your seats. 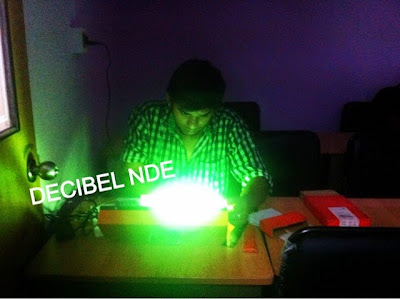 Decibel Nde, Opened the Remote Training Center at Trivandrum for all training requirements towards this industry. Almost all training services are available through the Remote Training Center at Trivandrum for General Public and for Corporate Customers. Exclusivity for Trivandrum Center will be the Availability of PCN NDT & Inspection Courses at Trivandrum. The People from Trivandrum can get assured quality training Certificate Renewals etc from Decibel Trivandrum. It's Something a detailed study requires for Understanding Indications on a Radiography Image. For an outsider the RFI ( Radiography Film Interpretation ) may seems to be a simple task, but to identify it, to evaluate it against the required code, and to produce the right interpretation it needs intensive training and extensive practicals. Decibel Brings you a great Level of training in this area. Decibel is one of the organization having worlds largest collection of Radiography Films for training. We have both real field practical films, training based special films and digitalized films for meeting our clients training requirement. Our candidate gets an opportunity for interpreting more than 1500 films and gain expertise. This scheme of training is for SNT-TC-1A requirements. PCN training will be meeting and exceeding the PCN requirements.